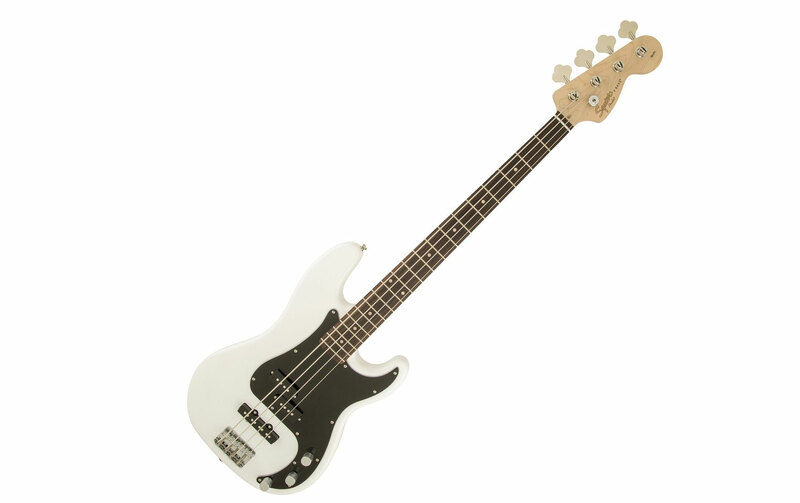 The Squier Affinity Precision Jazz Bass represent the best value in bass guitar design at this price level. 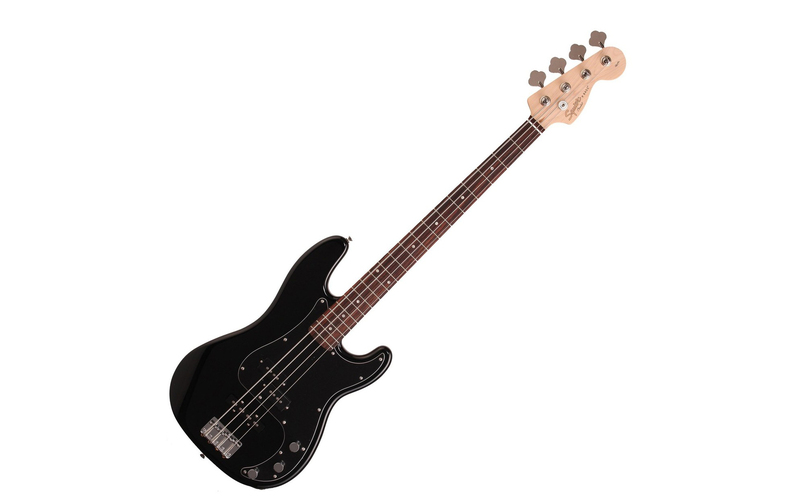 Made with the craft of the Fender owned Squier company, this model combines the very best features from the Precision Bass and improves upon that with the addition of an iconic Jazz Bass single coil pickup. This combination of usability and improved tonality gives bass players new and old alike. The ability to play a wide range of musical styles and create a tone that suits their style of play. 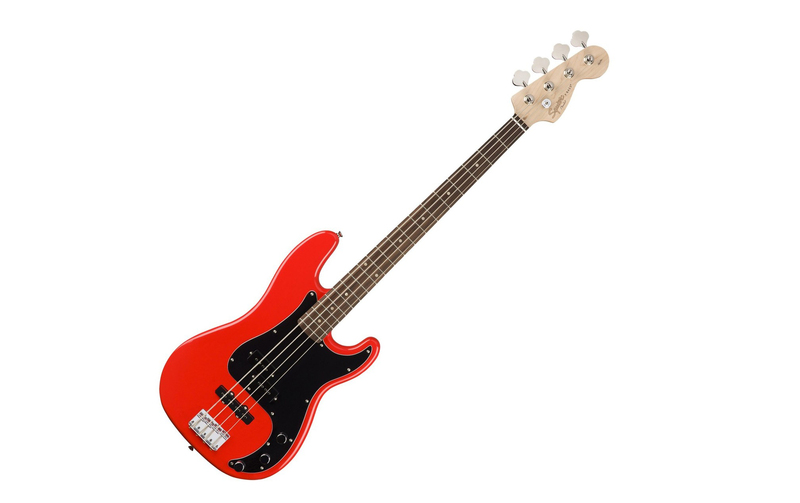 As a result, buying the Squier Affinity Precision Jazz bass early on will last the player many years and allows them to improve their skills and fill into a musical style along the way. What will the Affinity Precision Jazz bass sound like? The split coil pick up at the neck of the bass will give you a solid, loud output with a punchy and bouncy bottom end when used with a plectrum. Using your fingers with this pick up dialed in will give a mellow sound and slightly tame the tone. On the bridge of the bass is a single coil pick up, this alone will provide a very smooth warm mid presence. When dialled in further it can be brighter and produce a twang with more life to it. With both of the pickups on and dialed in at the same time you will have a huge wall of tone. The bottom end is loud and present with a shining high end. The tone is uniquely balanced and fills a full harmonic range. Find out how pickups affect your tone by reading our Bass Guitar Pickups guide. Squier is a subsidiary of the Fender guitar company and no doubt you would have heard of them. The granddaddy of the modern electric guitar and bass. They offer models which cater to all levels of musicianship. Most notably, Squier provides an excellent middle of the road choice in product which provides outstanding craftsmanship and a quality sound. More often than not these basses are typically used budding bassists first instrument. Here they learn the basics before moving onto and seeking their own specific sounding bass. Everything you need to start playing bass is available in one package. Suited for beginners the Squier Affinity starter pack contains a bass, an amplifier and other goodies to help new players start. 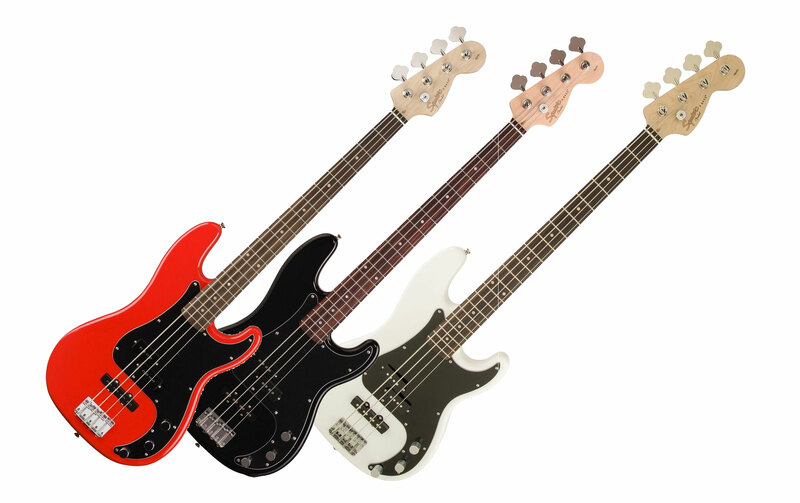 The packs on offer provide a Precision bass or a Jazz bass respectively. More information is available on the Bass Guitar Starter Packs page.